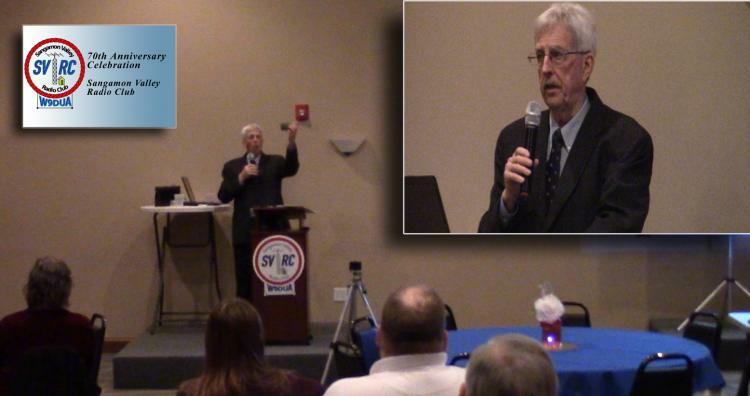 On March 3, 2018, the Sangamon Valley Radio Club celebrated its 70th anniversary with dinner and a featured speaker. The even was held at Poe's on the Hill in Sherman, Illinois. Our guest speaker was noted radio and news broadcaster and amateur radio operator, Ben Kiningham. Ben spoke about the long history of the SVRC and entertained us with many pictures and anecdotes from the 1950s and 60s. A good time was had by all.